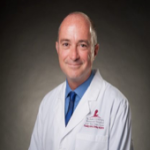 Dr. Richard McFaul and Dr. Alejandro Valderrain have been helping children with congenital heart defects for over twenty years, ADLN Free Pediatric Cardiology Clinics are held twice a year or as needed for a new child or a prior patient. ADLN is continually networking with other foundations and organizations to be able to find medical help for our children, with the collaboration of Los Cabos Children’s Foundation, American Airlines, the Avera McKennen Hospital and the Omaha Children’s Hospital we were able to send 15 children to the US for corrective open heart surgeries and procedures. Because of this groundwork Pediatric Cardiothoracic Surgeon Dr. James Hammel and his team of medical specialist are now able to come biannually to La Paz to perform cardio surgeries at the Salvatierra Hospital. The In-Kind value of this pro bono medical work is truly incalculable. Dr. Richard McFaul, Pediatric Cardiologist After completing studies at the University of Illinois College of Medicine Medical School Dr. McFaul completed his internship at Cincinnati Children’s Hospital Medical Center and then went on to the Mayo School of Graduate Medical Education with a Fellowship in Pediatric Cardiology. Dr. McFaul has been with ADLN since the beginning in 1991 and has diagnosed hundreds of children with congenital malformations. 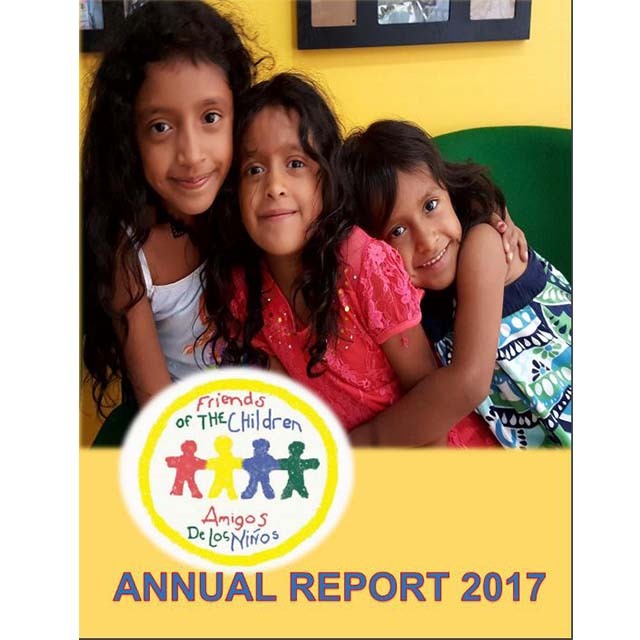 ADLN has found many resources to treat these children the latest and most efficient being a mutually supported Pediatric Cardiology Surgical Clinic carried out biannually at the Salvatierra Hospital in La Paz. Dr. Alejandro Valderrain, Cardiologist Dr. Valderrain was trained at the National Medical Center Siglo XXI in Mexico City. 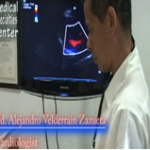 He has given cardiologic attention in San Jose del Cabo for many years. 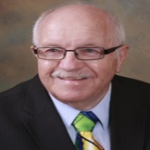 Dr. Valderrain has continually served the community and is well known for his helping hands. Dr. McFaul has worked with Dr. Valderrain all these past years and we carry out our ADLN Free Cardiology Clinics in his offices. 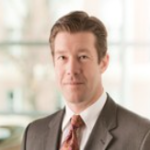 Dr. James Hammel, Pediatric Cardiothoracic Surgeon Dr. Hammel is a graduate of the University of Michigan Medical School, at Ann Arbor. He completed his residency in General Surgery at the University of Nebraska Medical Center and a Cardiothoracic Surgery residency at the University of Iowa Hospitals and Clinics in Iowa City; after which he completed a fellowship in Congenital Cardiac Surgery at the Hospital for Sick Children in Toronto, Canada. He also accomplished research fellowships in Neonatal Cardiac Surgery and Transplant Surgery. Dr. Hammel practices pediatric cardiothoracic surgery at both Children’s Hospital and Medical Center Omaha and the Nebraska Medical Center. The ADLN ENT/Audio Clinics have been held biannually for the past 25 years organized by Dr. Michael Rensink and Audiologist James O’Hara. During these years, more than 46 Clinics have been held with over 2,000 Los Cabos children evaluated and diagnosed by these ADLN volunteer physicians. Over 1,000 hearing aids have been given free of charge to hearing impaired children from our community. These Clinics have an in-kind volunteer medical value of $6,500 for each clinic and each hearing aid has a cost of $200 USD. We are happy to collaborate and receive children from other NGOs such as Red Autismo, the CRIT Rehabilitation Center and the local Special Needs Schools of San Lucas and San Jose. Taking part in a program where we are privileged to see a young child hear their parent’s voice clearly for the first time is among the most emotionally rewarding work we do. Dr. Michael Rensink, ENT Commander, Medical Corps United States Navy at Naval Regional Medical Center San Diego, California. 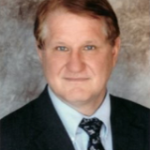 Dr. Rensink studied at the University of Wisconsin in Madison, Wisconsin and specializes in Otolaryngology (ear, nose and throat care) with more than 40 years of medical experience. Dr. Rensink Organized the ENT/Audiology team that has been coming to Los Cabos bi annually for the past 25 years, they formed the very first ADLN Free Clinic that to help children in our community with hearing deficiencies. 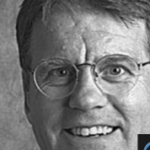 Dr. James O’Hara, Audiologist Dr. O’Hara is an Audiologist who has also worked during his profesional career in the US Navy in Seattle Washington. 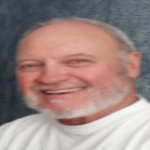 Jim has been a part of the ADLN Free ENT Audiology Clinic since its inception. Dr. Robert Martin, PHD, Audiologist Dr. Martin holds a doctorate in audiology from the University of Tennessee and was formerly a faculty member at the San Diego State Univercity. He has 40 years of expirience as an expert in audiology and hearing aids. Dr. Martin has also published numerous research papers in many world known journals. Dr. Juan Manuel Portillo Dr. Portillo is in private practice in Cabo San Lucas and has been the Responsible Physician for the ADLN Free ENT Audiology Clinics since their inception. Dr. Greg Psaltis, renowned Pediatric Dentist and ADLN BOD Member, comes with his team for ADLN Free Pediatric Dental Clinic. Dr. Psaltis specializes in pediatrics and that makes it a perfect fit for our children, many future dental and general health issues can be resolved by seeing children at a young age. Dr. Psaltis planed and designed the ADLN Dental Suite and the ADLN Dental Program and it is under his professional oversight. These clinics produce an average of $20,000 USD of in-kind volunteer dental work for the children of Los Cabos, over the past 10 years in which Dr. Psaltis has led this effort the total in kind value is over $200,000 USD. Dr. Greg Psaltis, Pediatric Dentist Dr. Psaltis studied for his Bachelor of Arts at Stanford University and received his D.D.S. at the University of California at San Francisco were he also completed his Certificate of Specialty in Pediatric Dentistry. 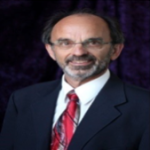 Dr. Psaltist served as a Pediatric Dental Specialist with the US Navy NRDC in Yokosuka Japan and from 1981 to the present has had a private dental practice in Olympia Washington. Dr. Psaltis and his dental teams have been present in ADLN Free Pediatric Dental Clinics for the past ten years. Amigos de los Niños Corrective Eye Surgery Clinics are held each year, the father and son team of medical specialist Dr. Fausto Lechuga Jr. and Dr. Fausto Lechuga Sr. preformed surgeries over a two-day period for 6 to 7 children with strabismus, a condition that makes learning, socializing and sometimes just walking difficult, after the corrective surgery they begin to flourish in school as well as enjoying a more rewarding experience with new friends and relationships without the teasing and even bulling that they were exposed to because of their condition. 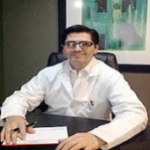 Dr. Fausto Miguel Lechuga, Ophthalmologist, SurgeonDr. Lechuga received his medical degree from the University Autonomous of Guadalajara and severed his internship at the Salvatierra Hospital in La Paz BCS. He studied post graduate specialties at the Hospital Central Militar in Mexico City, the Institute de Microsurgery Ocular in Barcelona Spain and received a Masters in Science at the Autonomous Institute University Barraquer in Barcelona Spain. He is assisted in these surgeries by his Father and Teacher Dr. Fausto Lechuga Sr.
Blue Net Hospital Blue Net Hospitals have cooperated with ADLN for several years giving their services and installations at greatly discounted cost for the ADLN Free Corrective Eye Surgery Clinics. 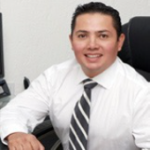 Dr. Javier Escamilla, Orthopedic Surgeon Doctor Javier Escamilla is a board-certified orthopedic surgeon. 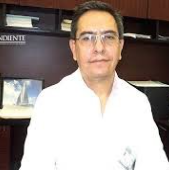 He is a member of the Mexican Council of Orthopedics and Traumatology as well as an International Affiliate Member of the American Academy of Orthopedic Surgeons. He performed an Orthopedic Fellowship in Shoulder Specialty at the University of Texas Health Sciences Center at San Antonio. Dr. Escamilla has been a friend of Amigos de los Niños for years and has helped many of our patients through orthopedic surgery. Dr. Ramon Barragan, Pediatric Intensive Care Dr. Barragan studied at the Universidad Autonoma de Nuevo Leon and in the University Hospital. 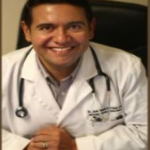 He is from the Huasteca Region of Mexico but has been in Los Cabos for many years where he has his private practice as a Pediatrician and Pediatric Critical Care. Dra. 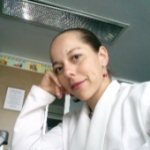 Ana Lorena Lozano, Pediatrician, Dra. Lozano Works at the Blue Net Hospital and sees our children for pre-op check ups. Dr. Eduardo Altamirano, Pediatric Oncologist Dr. Altamirano studied medicine at the Guadalajara Autonomous University, his residency was in two of the oldest hospitals in Mexico City, the Hospital de La Purísima Concepción and Jesús Nazareno, the last is the first hospital on the American Continent founded by Hernan Cortez in 1524. Dr. Altamirano completed his specialty at the National Institute of Pediatrics in Mexico City where he continued with the title of Pediatric Oncologist. In 1988 he founded the Department of Pediatric Hemo-Oncology and the Blood Bank of the Pediatric Hospital of Sinaloa. During this time, he also served on the State Board for the Preventions and Treatment of Childhood and Adolescent Cancer. (AEES). He also was the co-founder of the Asociacion Mexicano de Hemato-Oncologia Pediatrica, AMOHP, where he also served as President. Dr. Altamirano has been a St. Jude Outreach Partner in Culiacan since 2000. As a Pediatric Oncologist he has also worked with many NGOs to help children through their difficult illness, he was one of the founders of Casa Valentia, a home for children with cáncer and their mothers while in treatment. Dr. Carlos Rodríguez Galindo Pediatric Oncologist, St. Jude International Outreach Program Carlos Rodriguez-Galindo, M.D. is joining St. Jude Children’s Research Hospital to head the International Outreach Program. Rodriguez-Galindo will serve as the International Outreach Program director and an executive vice president. He will also chair the newly created Department of Global Pediatric Medicine and hold the Four Stars of Chicago Endowed Chair in International Pediatric Research. A native of Spain, Rodriguez-Galindo came to St. Jude in 1994 as a postdoctoral fellow and served as a clinical researcher and faculty member for more than a decade. He focused on developing new therapies for retinoblastoma, sarcomas and rare childhood cancers. He returns to St. Jude from Dana-Farber Cancer Institute and Boston Children’s Hospital, where he was director of the Pediatric Solid Tumor Program, medical director of the Clinical and Translational Investigations Program, and Director of the Global Health Initiative in Pediatric Cancer and Blood Disorders. He also served as professor of Pediatrics at Harvard Medical School. Dr. Rogelio Ortiz, Pediatrician We met Dr. Ortiz in 2007 when ADLN and other organizations were seeking pediatric oncology medical service for Baja California Sur, while touring the old Salvatierra Hospital in La Paz where Dr. Ortiz worked, we found our first cancer patient sent to Culiacan for their treatment. Since then Dr. Ortiz has been a fundamental part of all programs undertaken with the BCS State Health Secretariat.